Motorists would rather see an Ikea than a pub when they roll into a motorway services car park, according to new research. Two-fifths of the 1,000-plus drivers surveyed by online car servicing website ServicingStop.co.uk want to see pubs banned from motorways, whilst 35 per cent of the survey sample believe it’s time we did away with billboard advertising at motorway services. Similarly, one in six (16 per cent) would banish fast food outlets from motorways. When asked what they’d prefer in their place, more than half (56 per cent) said they’d like to see a supermarket, while a quarter believe a few retail outlets such as an Ikea would help break up a long journey. One in ten (11 per cent) want to see more petrol stations at motorway services, while seven per cent would welcome the introduction of more picnic areas, independent shops and more affordable hotels. Many respondents to the survey believe UK motorway service stops should follow the example of their French and German counterparts, due to their picnic areas and green open spaces. Britain’s first ever motorway pub – a JD Wetherspoon’s named The Hope and Champion – opened in 2014 at Junction 2 just off the M40, much to the concern of many road safety groups who feared a rise in drink-driving. A survey by the RAC at the time found that only 12 per cent of the 2,000 people supported the idea of opening pubs in motorway service stations, while an opposing two-thirds didn’t agree with the move. The manager of The Hope and Champion defended the pub upon its opening, saying that it “primarily serves the motorway users, but its facilities are also available to the surrounding community”. 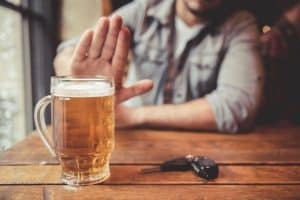 However, safety campaign group Brake wasn’t convinced and slammed the pub for “presenting a potentially deadly temptation to drivers”.